Eddie was born on 17th August 2003 in Huercal Overa, Andalucia, Spain he lives in Los Gallardos near Almeria and he is in the 6th year in Algor junior school he is bilingual in Spanish and English. He started loving bikes from a very young age, he rode his pushbike at just 2 and a half without even trying it with stabilizers. He always loved his dads motorbikes or anything with an engine. At 3 and a half he got a quad for Christmas which he rode non stop sometimes falling asleep whilst riding it. After various children’s bikes he finally got a KTM pro junior for christmas in 2008 aged 5 . But his parents wanted to steer him towards a safer four 4 wheel carer , so he concentrated on kart racing for 12 months competing against children more than twice his age, and had to carry 29 kilos of lead to meet minimum weight. From an early age he showed a great talent on four wheels winning local meetings but his heart was still set on 2 wheels. Karting seemed to keep him busy but he still wanted to race motocross after 2 years of non stop pestering he had his first motocross meeting on April 24th 2010 at age 6, where he finished 3rd over all in third round of the Murcian regional championship , culminating second overall in the championship despite missing the first rounds. 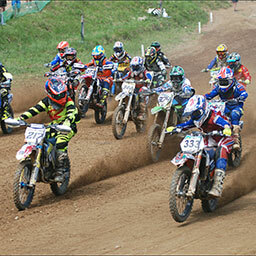 He regularly finished in the top 3 in Uk nationals that year. 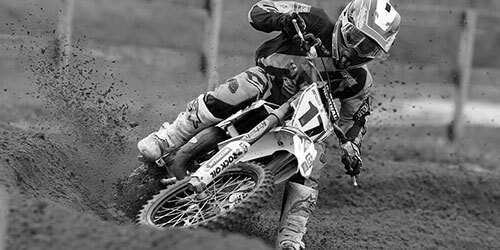 In his second year 2011 despite being only just 7 he switched to the 65cc category, disheartened by the endless mechanical floors with the smaller bikes, being too young to race the 65 in Spain he rode selected meetings in the UK. Finishing in the top 3 and concentrated on training. 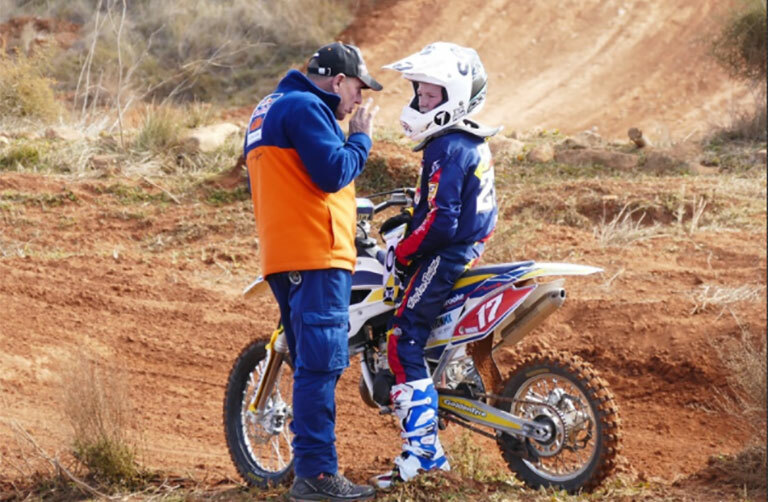 The director of training for Valencian Motocycle Federation Paco Rico, who 6 times Spanish national and Supercross champion granted a special dispensation for Eddie to race the final rounds, Eddie impressed him enough to be included into a small select group of riders who he trains on a weekly basis. In 2013 he went on to win the GT Cup and finish 5th in the Red Bull Elite at still only 9 years old. It was a very hectic year juggling school worlk and travel to the UK for the race meetings. In 2014 winning back to back GT Cup 65cc championship and the highest point scorer for the series, he also went on to win the Brtish Youth Championship at his first year of trying. Represented the UK in the World Finals but unfortuately a bad accident in practice ruined any chance of a good result. As well as motocycles eddie is a keen sportsman playing football, basket ball and running for the school, he likes swimming, jet ski-ing, body boarding, wakeboard, snowboarding, uni cycle his knick name is Sport Billy.